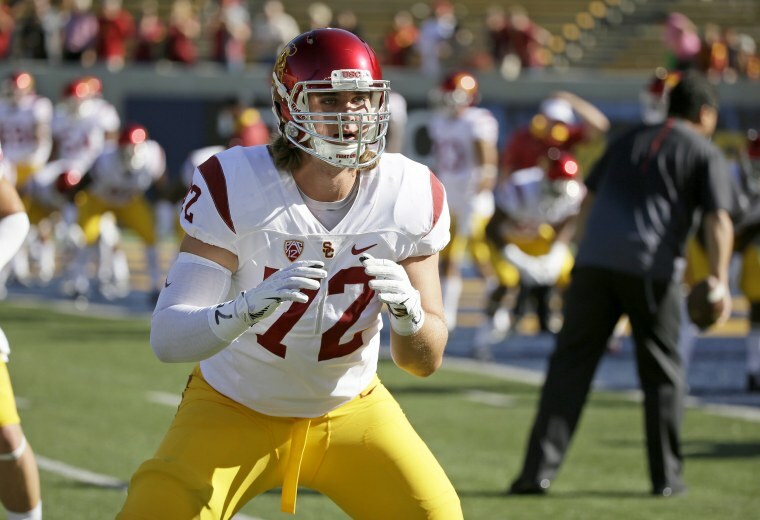 An offensive lineman for the University of Southern California was confronted Saturday morning by police officers who fired bean bag rounds at him after he got into an altercation with them, sources told NBC News. No officers were hurt in the scuffle. His girlfriend, with whom he has a 7-month-old child, was briefly detained and released. The baby was given to a family member. USC is preparing to play Wisconsin in the Holiday Bowl on Dec. 30 in San Diego.